From the simplest computer issue, to the largest network problem, or perhaps it’s time to upgrade, Geek-A-Roo can help. And better still, at Geek-A-Roo, we’ll come to you! There’s no need to worry about unplugging your computer and driving it to a shop where it’ll sit for days, even weeks! Get the Geek-A-Roo to visit your home or office where we’ll do everything we can to get you back up and running the same day. If however we need to take your computer with us for repair, we’ll not only deliver it back to you free of charge, but we’ll also plug it all back in and make sure you’re up and running, and that’s included in the service. With over 15 years professional and extensive experience, as well as being Microsoft Certified Professionals (MCP), Geek-A-Roo will get you back up and running quickly and effortlessly. And at Geek-A-Roo, we understand that businesses need urgent attention, as every minute that goes by is potentially money in the garbage! That’s why we offer fast-response service for our business customers. 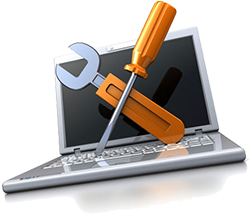 System Restorations/Operating System re installations. Wired and Wireless Network troubleshooting and repairing. All of our services come with a full 90-day satisfaction guarantee. We accept all major credit cards and can take payment on-site. We also accept cash and check. As part of our service we include full complimentary invoice history, great for small businesses and individuals alike. So contact us today, or call us (406) 382-0196.